-Casamayor's steady hand grasps the reader's attention till the end-.---El Pais-Very rarely has a group of voices said so much and so well about another voice that opts to remain silent.---Que Leer-It keeps the reader on the edge, reading non-stop.- --El Pais-Brilliantly written and constructed.- --AraEthel Jurado has disappeared. Where has she gone and why has she run away? 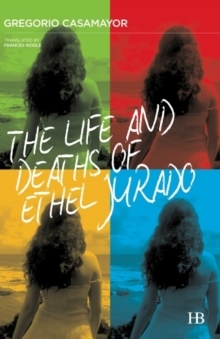 This is the mysterious backdrop to this unusual thriller in which Ethel's four closest friends tell her story through their separate and intertwining accounts. An enveloping and enthralling puzzle that shapes a choral novel with a stifling atmosphere.